Learn to draw the human figure! New summer Term programme will be available shortly. Be inspired by our wonderful models. Extend your artistic skills by drawing the figure in expressive life drawing classes. There is expert guidance to enable you to get the most from our inspiring models. It is a great way to develop and maintain your skill in visual art and can form a core element in your art practice. 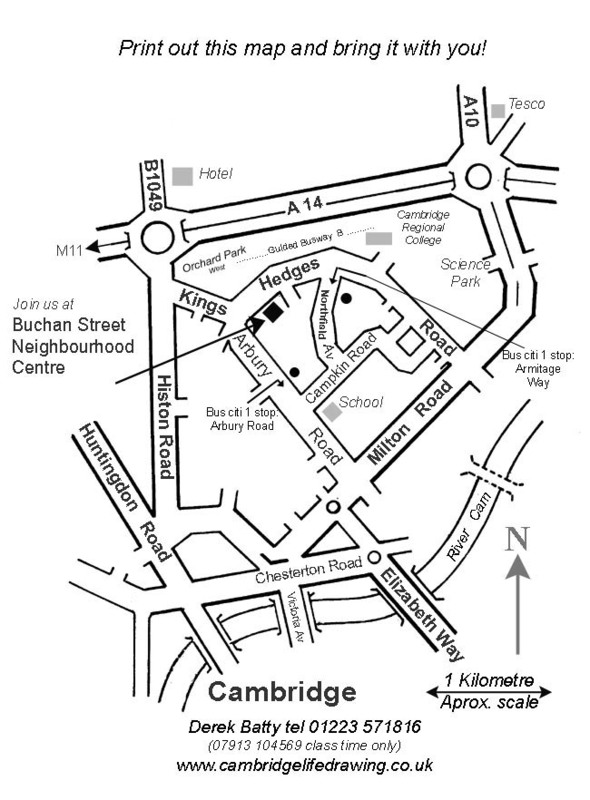 Here in Cambridge you can find the best classes which will inspire and enhance your art practice. Art students will find the courses fit well with the demands of the A level and beyond especially in preparing a portfolio of artwork for a college application. Practicing artists also relish the regular discipline of drawing the figure. I offer specialist classes for those involved in graphics and computer games industries. In Cambridge Drawing we use a wide range of models who can help us with topics such as animation, anatomy and character. There are regular demonstrations on a variety of topics which aim to guarantee success for beginners and professional insight for those with more experience. Looking forward to drawing with you! Want to give an inspiring present? Why not a gift voucher to attend one of my classes? Your recipient can choose between two classes Tuesday (1.00- 3.30) or Friday (7.00-9.30). £18 Email with your request and pay with cheque, bank transfer or via paypal. Step by step method of drawing with colour chalk pastels. Beginning with a quick outline you then block in colours using the side of the pastel. Follow up with strokes of colour to create optical mixtures. And finally, if necessary, reinforce some outlines. Exciting projects including Matt on his yellow motorbike. Tindalls Art Shop, sometimes still known as Heffers Art Shop - the greatest Art shop in Cambridge. Head off to King Street for a huge selection of materials. If in doubt, friendly and knowledgeable staff will help you select the right things.